I can’t even remember when exactly Sri Lanka made it to the top of my mental list of places I would love to visit. 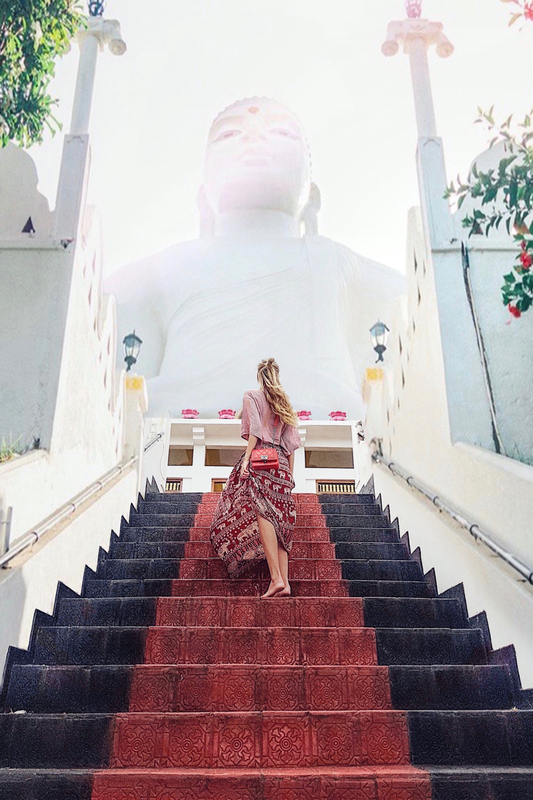 When traveling to the Maldives last year I almost regretted not starting the trip with a short visit of the island of Sri Lanka, which is less than a two hour flight away from the Maldives. My big sister who is a truly passionate traveler also wanted to go to Sri Lanka and we started talking about this Asian country more and more often and exchanged pictures and travel reports. When 2016 was coming to an end and I knew the Christmas holiday would be the quietest time of the year and thus perfect for a real holiday, I talked Alex into spontaneously flying to Sri Lanka with me. Kandy is the second biggest town and a UNESCO World heritage. You can also find the temple of the tooth here, which is one of the most known places for Buddhism. 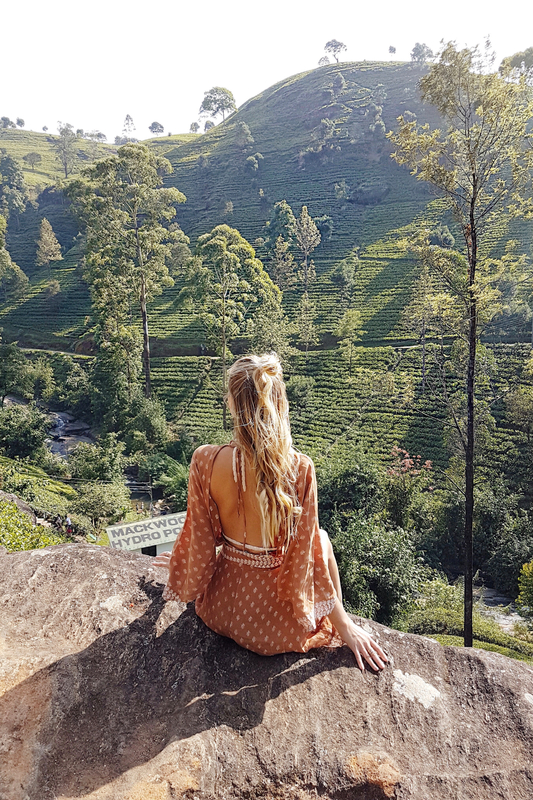 What I loved about Kandy is that it’s in the heart of Sri Lanka and surrounded by stunning nature such as the famous hill Adam’s peak and the tea plantations of Nuwara Eliya. We decided to stay two nights outside of Kandy in the hills. I sometimes lose myself when looking for a place to stay overnight, but I always hope to find hidden treasures and places which have a lot of charm and inherit some of the country’s special spirit. We ended up booking two nights at the Albatross Boutique Villa. I love boutique hotels, especially when they are filled with carefully selected interior. It was amazing to sleep in the mountains, overlooking the landscape around. 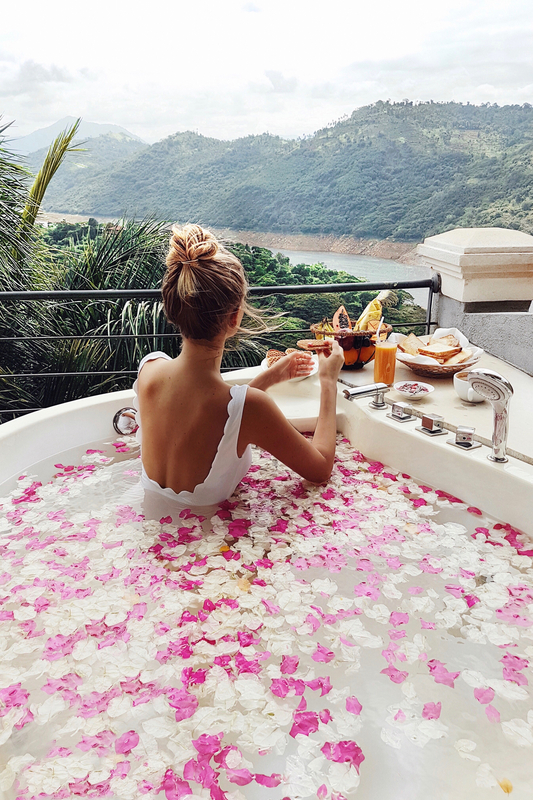 I loved our room and the view, but it was almost a one hour drive to get to Kandy and I would probably recommend staying a little bit more central to be more flexible in going out for excursions or some yummy food. Speaking of which: there was not a lot to do in Kandy, but I loved the The Empire Café, which had the cutest interior and a very modern menu which was cool for vegetarians. 😉 Also I loved Natural Coffee since I have caffeine running through my veins. ;P Even though I’ve been to Thailand so many times, I also visited the Bahiravokanda Vihara Buddha Statue. When I was on Bali, I fell for the endless greens of the rice fields around Ubud. Therefore, my excitement was huge when I first saw the tea plantations of Nuwara Eliya. Arriving there was like traveling back in time. Everything felt very British and the air was comparably cold. All in all you couldn’t really tell that you were still in Sri Lanka. We visited the old Macklewood plantation and completely lost our heart when we found a cute spot in the plantations where they sold the fresh tea and offered you a free tea with a chocolate cake for 50 cents while enjoying the view. It was so much fun and different to everything I’ve ever experienced before. 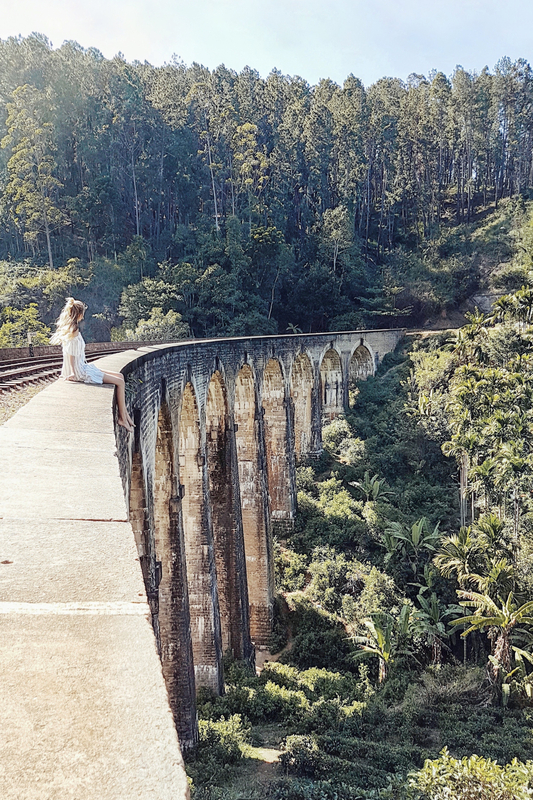 Taking the train in Sri Lanka is a must, even if you are not Sheldon Cooper! 😉 The most recommended drives are from Kandy to Nuwara Eliya and from Nuwara Eliya to Ella. We decided to drive by car to Nuwara Eliya since we wanted to be flexible to drive around and see more of this beautiful landscape. 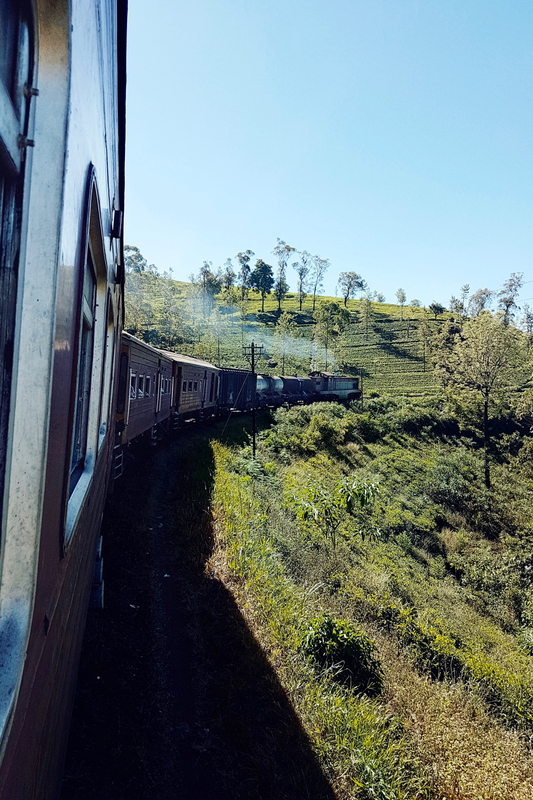 From Nuwara Eliya to Ella we took the train. We booked very last minute so there were no choices left in regard to time and train. We ended up taking the earliest train which happened to be the oldest of all trains running on these trails. We booked tickets on the observation deck, which I can only recommend because the ride is rather long and you can never know just how long it might end up being. 😉 Most wagons don’t have assigned seats or air con so you will appreciate the breeze you catch on the deck. 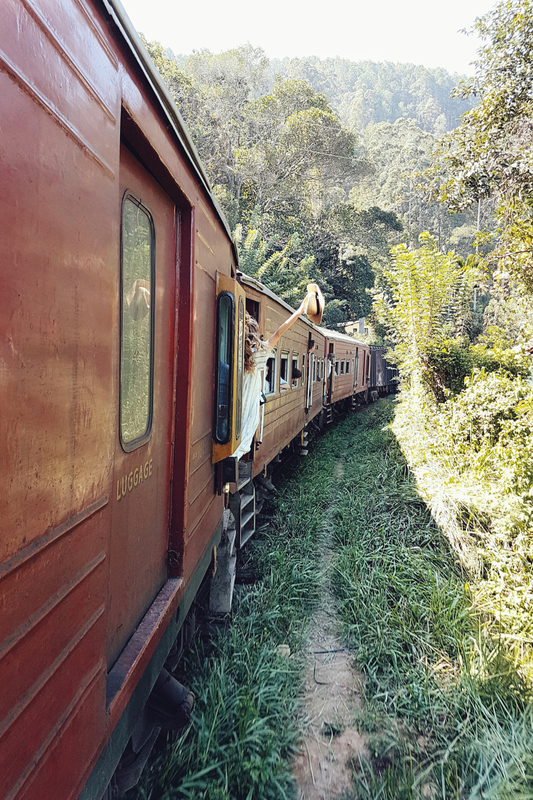 The train ride was one of the best experiences. The views were breathtaking and you could always go to one of the open doors to lean out carefully and feel the refreshing wind in your face while looking on the endless greens. In between locals sold yumm products and we bought the yummiest salty peanuts I ever had. The whole experience felt kind of retro and I would absolutely do it all over again! Unfortunately, we only spend a few hours in Ella, even though the place is surrounded by the most beautiful landscape. From the train station we headed to the Demodara Nine Arches Bridge, which was a fun yet scary experience. I have to admit that I’m a little bit of an adrenaline junkie and I wanted a picture of me walking along the bridge, standing right to the edge. Sitting was fine but standing there was seriously scary. So don’t try this at home, dear friends. 😉 After walking all the way down to the bridge, we had a quick stop at the urban art café where we had a quick lunch and some delicious milk shakes. We left Ella early since I was dreaming about visiting Yala National Park. When I started planning my trip I was overwhelmed by what the country has to offer. Having the opportunity to go on safari was one of the biggest pluses. I’ve never been on safari even though I LOVE animals and I’ve never watched the Lion King without crying for an hour. ;) When we arrived at Jetwings Yala close to the entrance of the park, I lost my heart. We directly extended out visit for one more night. 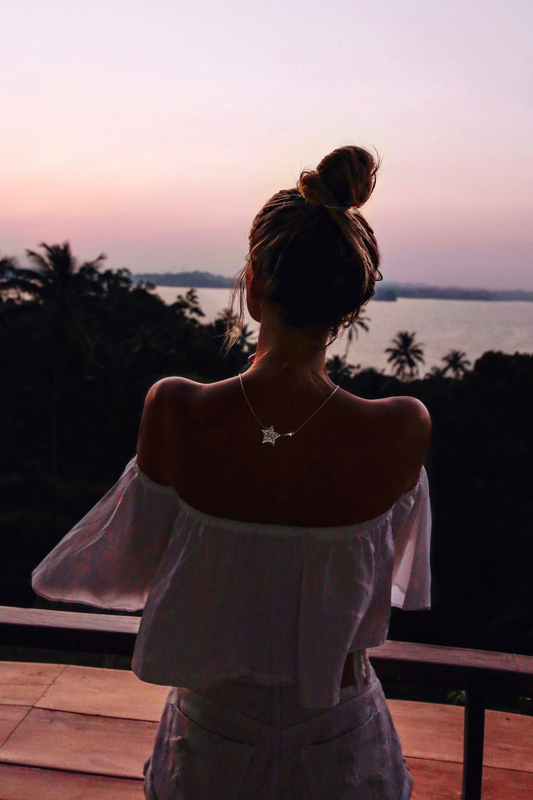 We stayed at the Jetwing Yala Hotel and I honestly loved the hotel so much. I directly had all the safari vibes and you can decide on booking a luxury glamping tent or staying in a beautiful safari room. 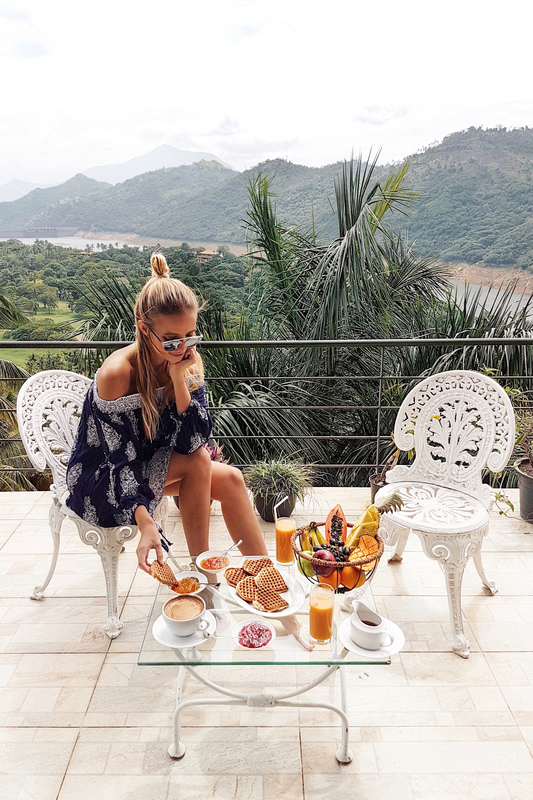 It was also one of the best breakfast we had in Sri Lanka and the scenery was just beautiful! We also booked our tour at the hotel as we really trusted the staff. Close to Yala the scenery changes and you feel like you are in Africa. 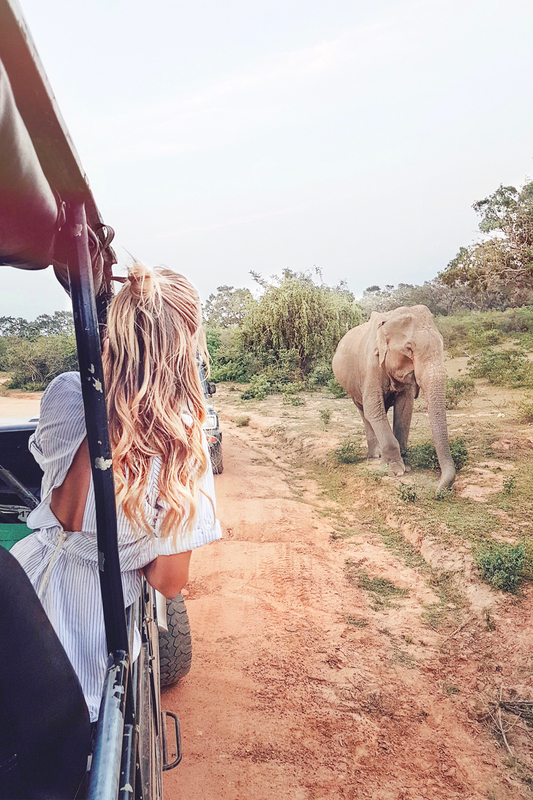 Even on the way to the park we already met some different kinds of wild animals and when we had dinner at the hotel restaurant of Yala Jetwing, we were surprised by two elephants that casually walked by. My heart stopped for a second and I had to pause my meal as I was way too excited – What an amazing experience! We were a bit unfortunate and had trouble with the server of our website which meant that we were working all night and couldn’t make it to our early morning safari. Therefore, we decided to at least have a half-day safari. We couldn’t have been more lucky with our decision. I read mixed opinions about the safari. I wanted a tour that gave you an authentic experience and I did not want to stand in line with hundreds of jeeps to frighten a poor leopard just to get a picture. Fortunately, we read lots of reviews and found a good driver who was really patient and showed a lot of respect for the animals. He even spotted a leopard at a little lake. From that moment on we were so happy and had even more luck when we met some elephants that played in the water for an hour. I will tell you some more details about this amazing experience in one of my upcoming posts! On our way to Kandy we had also stopped by the Elephant Orphanage Park to see the orphaned elephants play in the water. But I cannot recommend that place which felt more like a sad tourist trap. In case you want to see some wildlife, I would rather recommend one of the safaris Sri Lanka offers. Our next stop on our way to Galle was Mirissa beach. The beaches in Sri Lanka are rather wild and Marissa was one of my favorites. The most beautiful spot was a viewpoint that gave you a cool panoramic view over the water and the surrounding land. Another highlight of our quick stop in Mirissa was the Dewmini Roti Shop, where we ate. It was ranked number one at Tripadvisor – For a reason! It was an easy and super unorganized Sri Lankan place and the food was AMAZING! We had all kind of salty and sweet rotis and my favorites was a veggie one with vegetables and lots of cheese and the Nutella one, sooooo delicious! 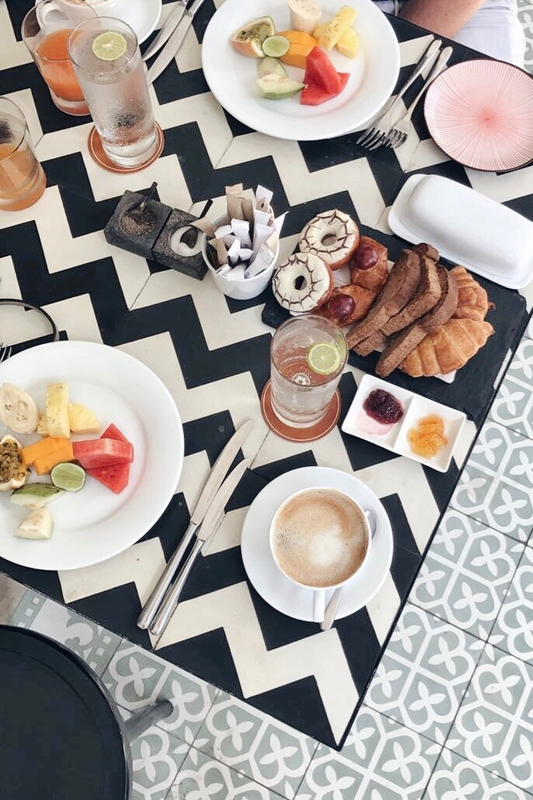 As I’m really into discovering amazing hotels, we stayed at the Tri Hotel for two nights, which was amazingly designed and had the best food ever! I swear I gained two kilos in two nights staying there! We had a half-board reservation and when they served us a modern Sri Lankan six-course menu I seriously felt like I had died and went to heaven because the food was SO GOOD! Also it was my favorite breakfast we had in Sri Lanka. They started the breakfast with a fresh fruit bowl with frozen yoghurt and the best granola! Also the sweet hoopers were unbelievable! I loved the Tri hotel so much so that you can also find a post with all the details about the hotel: here. If you want to have some relaxing days just lying next to the pool eating the most amazing food, Tri is a must! Probably my favorite place in Sri Lanka was Galle Fort. I have to admit that I’m such a foodie and as I have a bit of a tricky stomach, Asian cuisine is sometimes giving me a hard time (even though I love Asia so much and I wish I was a bit more flexible with the food…). The happier I was when I arrived in Galle and it was food heaven! Galle Fort is a UNESCO world heritage side and the Fort is just adorable. The colonial design and the Dutch influence is simply charming. Just walking along the streets is so much fun. There is so much to discover and you find the cutest shops, most charming buildings and – I cannot stress it enough – the best food! 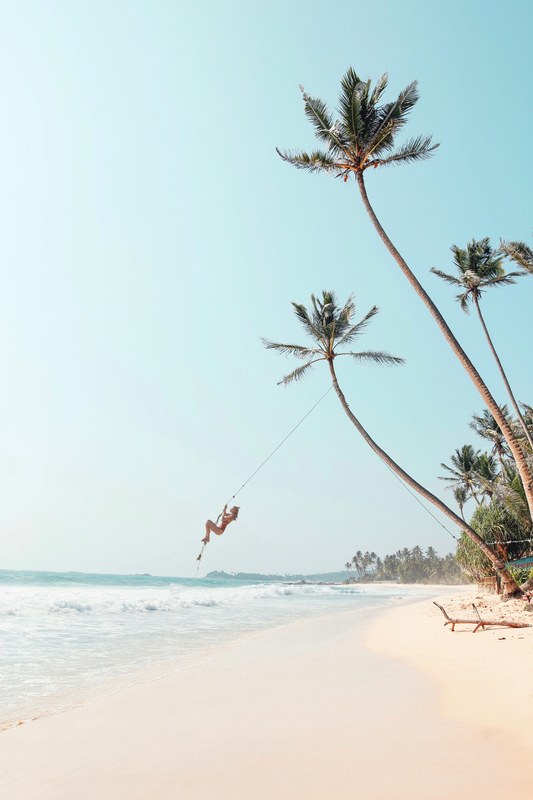 What I also loved about Galle is that it’s so closed to some fun beaches such as Unawatuna beach (one of the most popular beaches with a cool beach scene! ), Dalawella and Jungle beach. I also wanted to see a turtle hatchery, but I love turtles and I was not really convinced about the concepts of most hatcheries. Therefore I decided not to support it by going. We couldn’t have been any luckier than to stay at the Fort Bazaar Hotel in Galle during our last night in Sri Lanka. Galle has quite a few cute hotels and I was super last minute (as usual ;)) and booked the hotel in the late afternoon on the day that we were supposed to check-in. Maybe because of that we scored quite a good deal for our room. The moment we arrived, I definitely understood the good rating. The staff was super friendly, the boutique hotel had the cutest interior and there was a daily complimentary tea and cake hour, which is something you can always win my heart with. 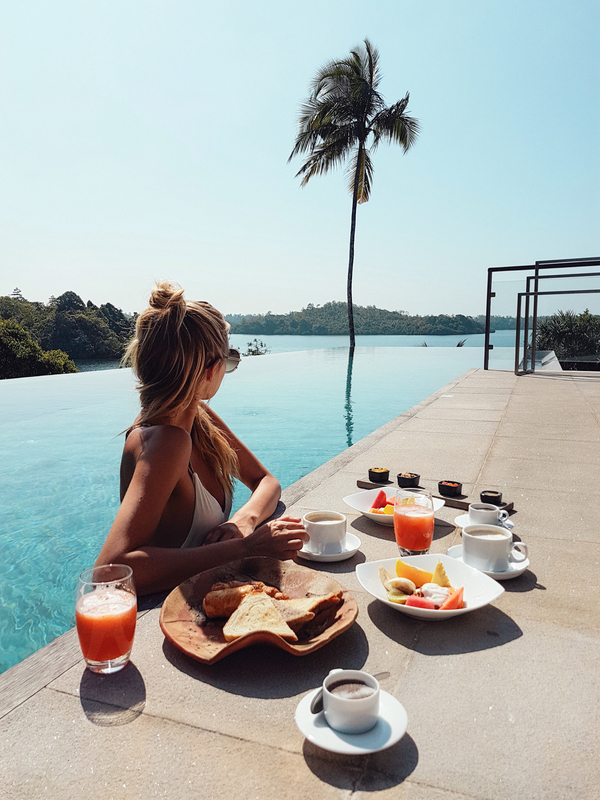 😉 The hotel was also conveniently located in Galle Fort and even if you aren’t staying there, it is also a good spot to go for breakfast, lunch or dinner. 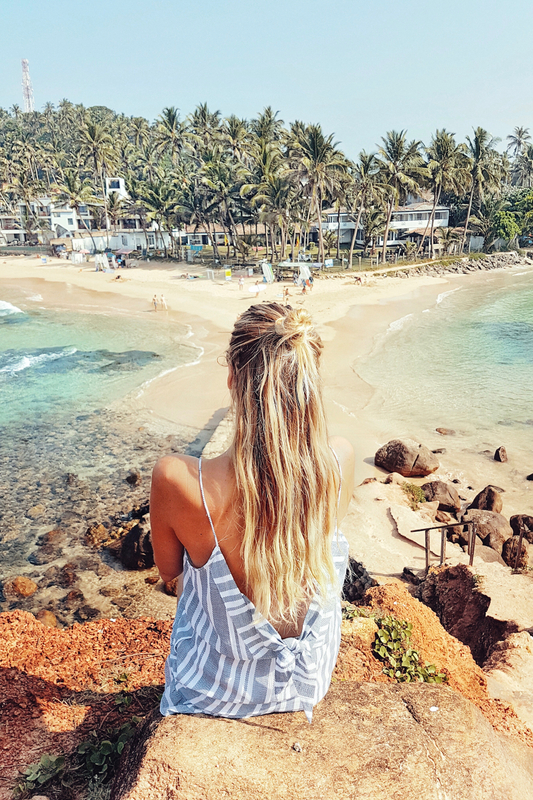 In general I reeeally loved Galle and it was the most amazing place just to stroll around, try good food and see some of the coolest hotels of Sri Lanka. 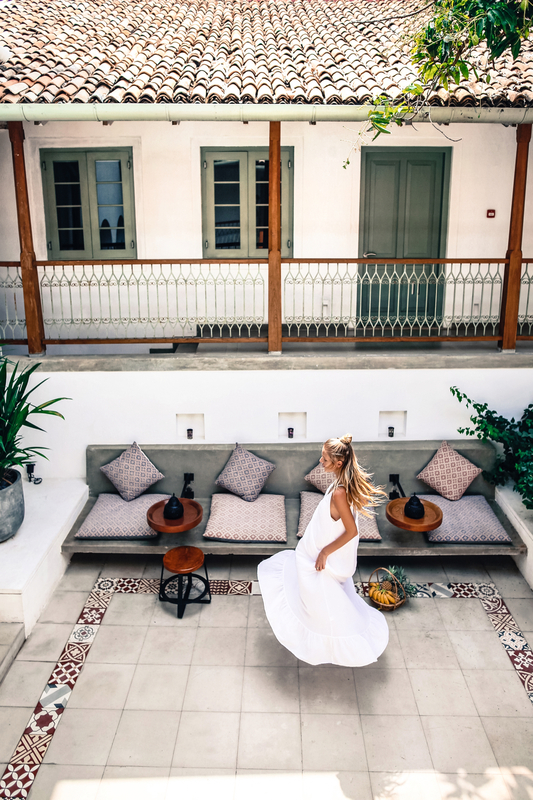 In case you are looking for options in Galle, I also loved Prince Of Galle and The Galle Fort HotelThe Galle Fort Hotel. All the recommended hotels are inside the beautiful Fort. Wow this looks seriously gorgeous! And love the red carter swimsuit! SO cute! The picture of the Buddha statue, elephants, and train was beautiful! Ihr habt wirklich richtig tolle Orte besucht, dass sieht nach einer ganzen Menge toller Erfahrungen aus! Ich glaube ich wäre gestorben vor Angst von der Brücke zu fallen:D, obwohl ich eigentlich gar nicht so eine schlimme Höhenangst habe…. Das Foto ist aber auf jeden Fall ein Traum! Ein super ausführlicher, informativer travel guide! Sri Lanka scheint wirklich toll zu sein und irgendwann möchte ich dort auch mal hinreisen. Die trinkenden Elefanten sind ja mal goldig. Es muss toll sein, solche Tiere in der freien Wildbahn zu erleben. I’m travelling all the time and you know what?? definitively plan to go there soon!! Thaaaaanks! Isn’t is?! I am so in love with it, too! Daaaaaanke, liebe Luise! Ich kann es auch wirklich nur so empfehlen!! It should be – it is such a diverse and beautiful country!! Ich bin in paar Wochen auch auf Sri Lanka und es ist deine Eindrücke einmal gesehen zu haben! Hoffentlich wird unser Urlaub auch so klasse! Sri Lanka is a beautiful country, I am proud to represent Sri Lanka as Miss Sri Lanka in Europe 1st runner-up. I just returned from Sri Lanka and checked out some new places this time (IG @smeetastic). Every time I return there is new to discover and do! Leonie, hast du auch Reis & Curry gegessen? Ich seh leider nur westliches Essen bzw, Obst auf den Fotos und Roti mit Nutella ist wirklich kein authentisches Sri Lankanisches Essen, eher Stringhoppers, Pitu, Jaffna Crab Curry usw. Hast du das probiert und wenn ja, wie hat es dir geschmeckt? 🙂 Das Jetwing Yala soll wirklich gut sein. Tolle Fotos! Sri Lanka ist ein Traum, was für wunderschöne Bilder! Hi! Can I ask you where you edit your pictures? Which app or program that you use? They are amazing! Awww, viiiielen lieben Dank, liebe Krissi <3 Tausend Küsse aus NY! Your pictures look crazy amazing! Your outfits are gorgeous as well. Hi! What filters do you use on your photos? They look amazing and just how I like them – bright with a tuuch of pink! How do you process them? They look way better than they used to! Love this guide! 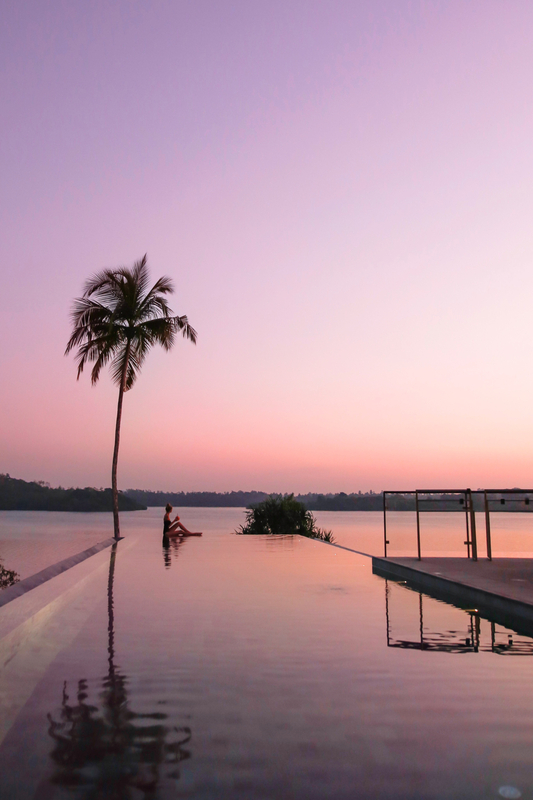 Sri lanka looks unreal! 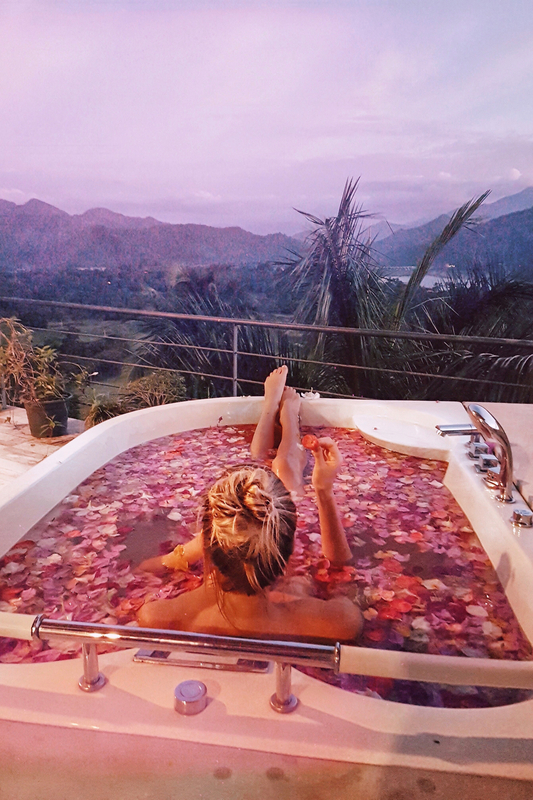 Pingback: 9 Destinations for a Spring Vacation - The Effortless Chic - A lifestyle blog bringing easy ideas for every day style to you, every day of the week! Hi! Great tips. Mind telling me the name / phone no of the guide for Yala Park? Or how you found him at least. Need someone who could take us off the beaten track away from all the tourists and sounds like you got that experience. Thanks! I know I wrote the name down somewhere in case someone asks but I looked and unfortunately I can’t find the information anywhere… I chose the company by looking on tripadvisor but I also recommend asking the hotel if you are staying at a nice one! I keep my fingers crossed that you find a good one! It is such an amazing eyperience! And I’ll let you know in case I do still find his contact details! Hi ! I love your blog, your pictures are amazing !! 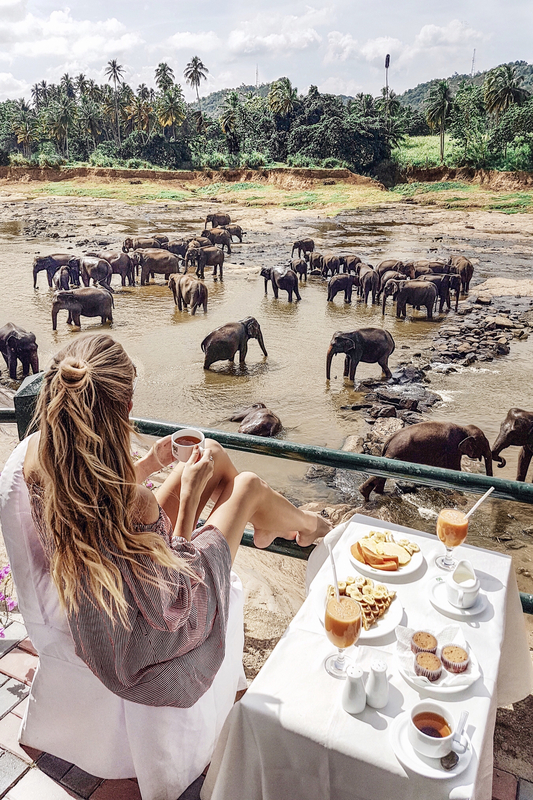 I’m traveling to Sri Lanka during the Summer and I really wanna do a safari in Yala National Park, how did you find an independent driver there and how much was it? This post has made me so excited for my trip over to Sri Lanka in just three weeks time. I love all of your dresses – they are so gorgeous and work so perfectly in the photos. I might have to get my hands on one or two of them before I head off. 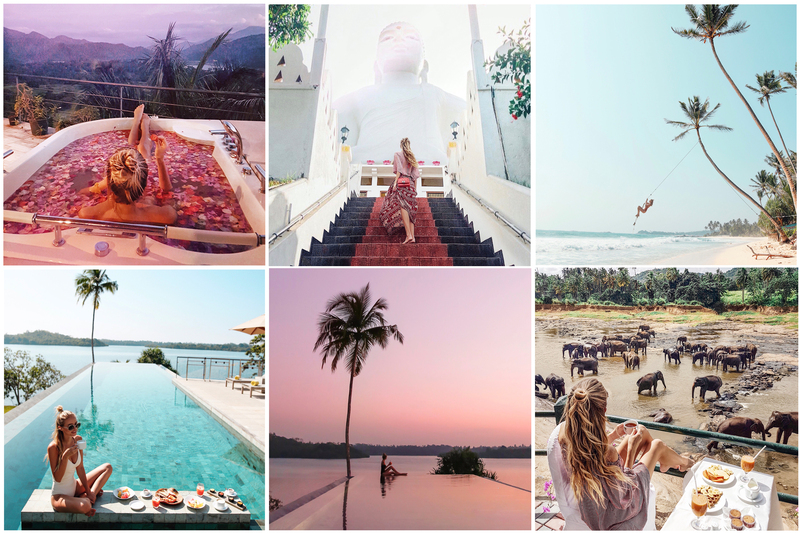 Amazing colorful photos which is calling me for travel Sri lanka. i enjoyed your article and get more information about Sri lanka and popular places. welcome to morocco next time! Wow its great to see those pictures, Thanks for sharing this. This post is virtually moves into beaches. Love your post! We’re excited for our trip to Sri Lanka in July. How did you get from Ella to Yala? Did you take a bus? I am thinking about Sri Lanka for my honeymoon in September! How did you get from city to city? I saw you trained a bit but did you mostly drive? Did you just get cabs day of or did you have a set driver? What would you suggest? We have 11 days and I want to see a few cities but wondering what’s the best way to get around. Thank you and your pictures looked amazing! Hi! What was the name of the safari you used in Yala? Awww this is a great article Leonie! You make me want to go to Sri Lanka right now!